While security guards are the conventional way to maintain safety and security, Video Intercom Systems (also known as video door bells) maximize your personal safety by allowing you to see who is at the door and speak to the visitor before you let them in. 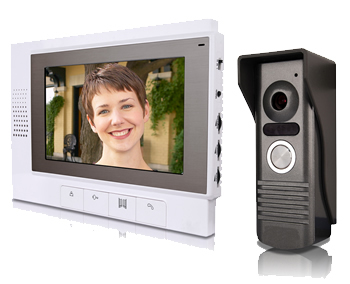 Our video intercom system comes with aesthetically pleasing 7" LCD Screen Indoor Unit and a Weatherproof Outdoor Unit. 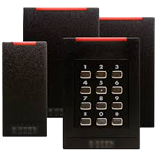 When paired with electronic door locks (strike or mag lock), user can unlock the door remotely with push of a button. Inside unit allows the user to monitor the outside video in real time. Infra-red capabilities allows user to see who is at the door in darkness and ability to talk to the person at the door gives an added advantage when it is someone you don't know.